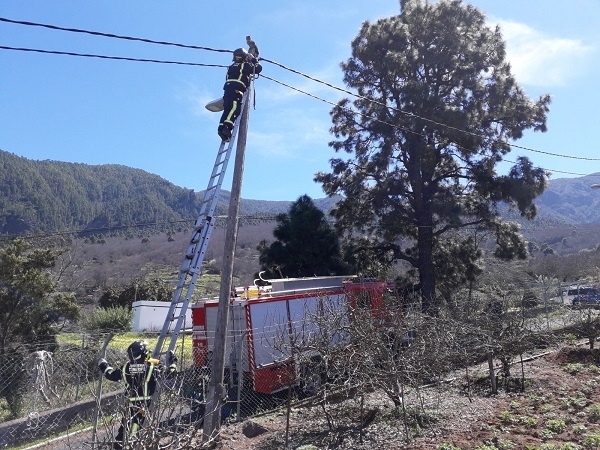 Firemen were called out on Wednesday morning to rescue a small cat who had been stuck for two days on top of a six metre high post on a finca at Pinolere, La Orotava. The cat had been chased by a dog which lived on the property and had not come down. 16.03.2018 - After the Finca owner noticed that the cat had not moved for two days and showed no signs of descending either, he decided to call the fire brigade. A fireman brought the feline back to the ground. Since the cat apparently had no home, the Local Police took charge of her. Produced with news.CMS in 0,0788 seconds.